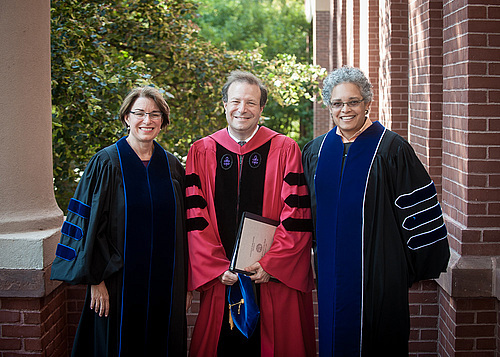 Steven G. Poskanzer, J.D., assumed his duties as Carleton's 11th president on August 2, 2010, and was formally inaugurated on September 25, 2010. “This is the most exciting and humbling moment of my career,” Poskanzer said upon being selected as Carleton's president. “Being able to work with the entire Carleton community to make sure that the College flourishes and also reaches a whole new level of distinction is a privilege and a signally important trust. Carleton is one of a tiny handful of the finest liberal arts colleges in the world. It’s a gem that fills a critical niche in the firmament of higher education. Learn more about President Poskanzer. Read an important update here on plans and priorities for strengthening Carleton's campus climate.